Dress Up Those Pony Beads for a Custom Look! Ok, you've probably guessed by now. It was my high school reunion (I'll refrain from divulging the year, though)... and because every event is made better with crafting (right?! ), I offered to do some projects with the kiddos during the Family Picnic portion of the event. 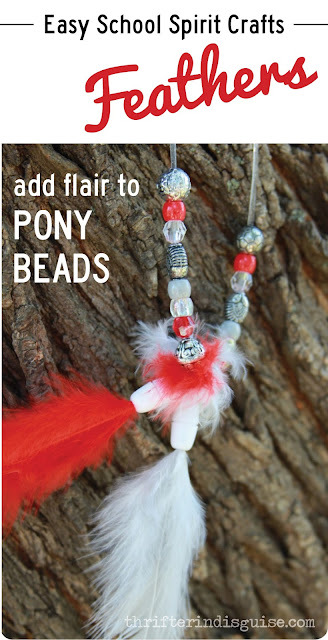 Originally, I figured I'd just get some pony beads and string, and let the kids craft away, but then I thought it might be fun to work with our alma mater colors. So I went to the craft store, gathered all the red, silver, and white beads I could find, and prepared to go on my way... and then I passed the feather aisle, and I had a stroke of genius (yea, I know, 'genius' is pushing it, but it's pretty close!). 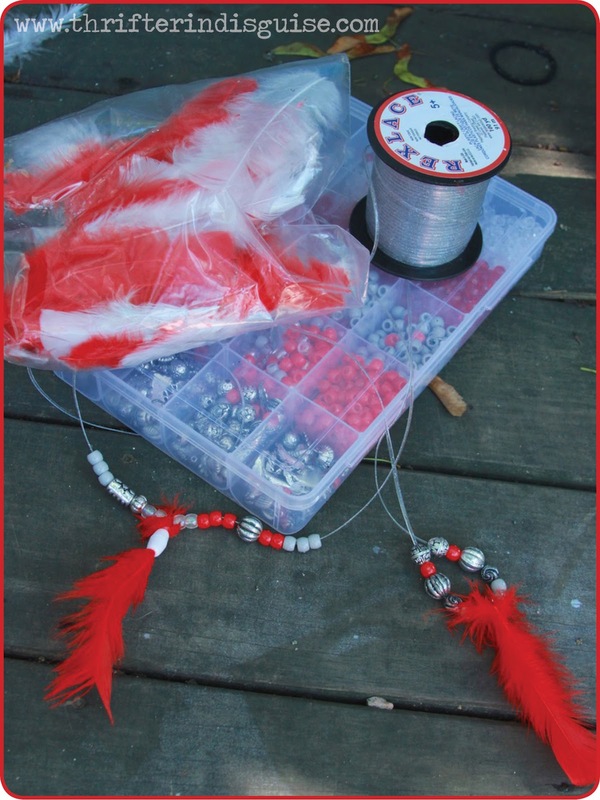 After you gather your materials, you'll need to work with the feathers to get them to slip onto the string. To do this, I used a combination of a long narrow bead and hot glue. 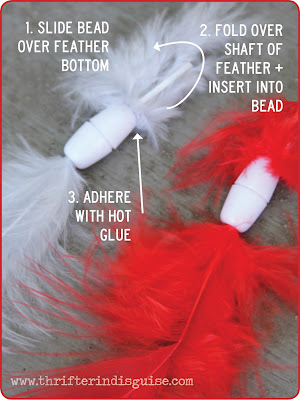 As described in the photo above, I basically slid a bead onto the end of the feather, then made a loop out of the shaft. Next, I squirted a little hot glue near the top of the bead and inserted the tip into the bead, making sure it landed on the hot glue. Just watch out for your fingers! That hot glue definitely got me a few times. 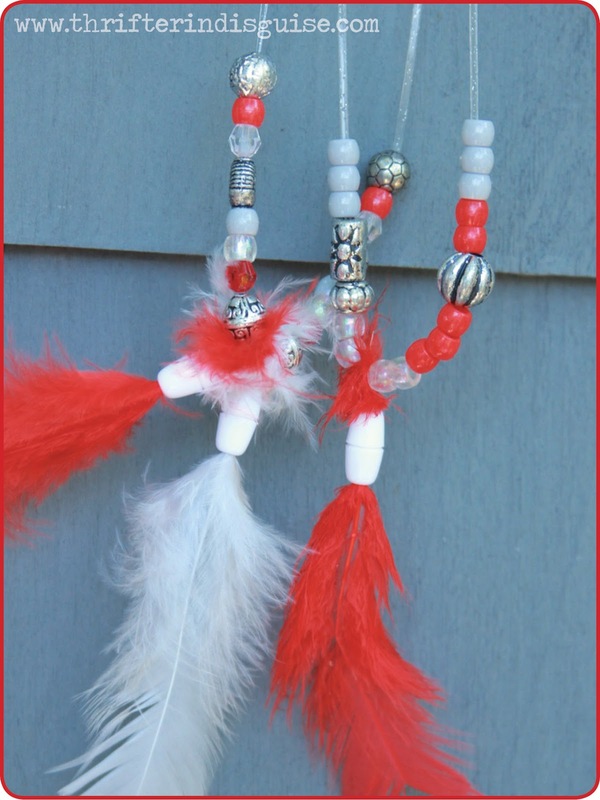 The kids had a blast making these, and they were easy enough that even the youngest ones could complete them with minimal assistance. 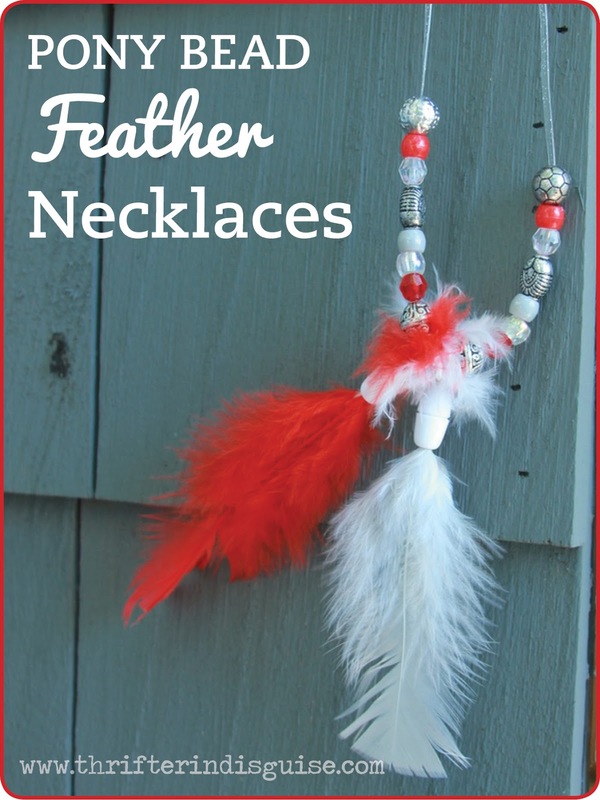 And while these colors no longer show up regularly in my wardrobe, it was a fun little blast-from-the-past, and would make an easy and fun team or school spirit craft for teenagers, too!